Does Oregon have state overtime laws that are different from federal law? Like federal law, Oregon state law requires employers to pay employees one and one-half times the employee’s regular rate of pay for all hours over 40 worked in any 7-day work week. Overtime pay is mandatory in Oregon and may not be replaced with comp time (except for government employees), even if the employer and the employee come to an agreement. Does Oregon have a minimum wage that is different from federal law? The Oregon minimum wage is $10.25 per hour until July 1, 2018 when it will rise to $10.75 per hour. Each year, on January 1, the minimum wage is adjusted based on increases in the U.S. City Consumer Price Index. This minimum wage requirement applies to trainees and minors. An employer may not count tips against the minimum wage; in other words, no matter how much a tipped employee makes in tips, her/his employer must pay at least $9.25 per hour. An employer may nonetheless count the market value of meals, lodging, and other facilities or services furnished by the employer to the employee against the minimum wage. However, any business-related expenses (including cost of lodging for an employee who is required to live on the premises) may not be counted against the minimum wage. An employer may require an employee to pay for mandatory items as long as this does not bring the employee’s pay below the minimum wage; this payment cannot happen through a payroll deduction. Does Oregon have meal and rest break requirements, unlike federal law? Yes. For every work period of six to eight hours, employees are entitled to a 30-minute meal period. If an employer cannot provide such a 30-minute meal period because of the nature or circumstances of the work, (s)he must permit employees to eat while working and pay employees for that time. An employer may also provide a shorter meal period (minimum of 20 minutes) if (s)he can show that there is an industry practice of a shorter paid meal period. In addition and separate and apart from the 30-minute meal period, each employee is entitled to a ten-minute break for every four hours worked; unlike the 30-minute period, this cannot be deducted from wages. How do I file a wage/hour or labor standards claim in Oregon? If your employer owes you wages, you may file a wage claim with the Wage and Hour Division of Oregon’s Bureau of Labor and Industries. The process is explained in depth at http://www.oregon.gov/boli/WHD/Pages/W_Whhowinf.aspx. The Division has the authority to investigate, attempt to settle disputes, sue employers, and make complaints in criminal court. Do not delay in contacting the Wage and Hour Division of the Bureau of Labor and Industries to file a claim. There are strict time limits in which charges of wage-and-hour violations must be filed. There is a general statute of limitations of six years for wage cases, but a statute of limitations of two years for overtime cases. The Division can only help you if you file a claim within these time periods. However, as you might have other legal claims with shorter deadlines, do not wait to file your claim until your time limit is close to expiring. You may wish to consult with an attorney prior to filing your claim, if possible. Yet if you are unable to find an attorney who will assist you, it is not necessary to have an attorney to file your claim with the district and federal administrative agencies.  How can I or my attorney pursue a claim in court in Oregon? Instead of filing a wage claim with the Wage and Hour Division, you may also file a lawsuit in court. In court, you may recover $200 or the wages you are owed, whichever is greater. In addition, the court can require your employer to pay your attorneys’ fees and litigation costs. The statute of limitations for wage cases is six years, except for overtime claims, in which case the statute of limitations is two years long. If an employee’s employment ceases and employer willfully fails to pay the employee’s wages or compensation, the court may award the plaintiff-employee wages or compensation at their normal hourly rate for eight hours a day from the time employment ceases up until the action has commenced as a failure for nonpayment. This compensation cannot continue for more than thirty days. However, the penalty may not exceed 100 percent of the employee’s unpaid wages of compensation.